The versatile Katana Cabinet 212 is a companion cabinet for the popular Katana-Head guitar amplifier. 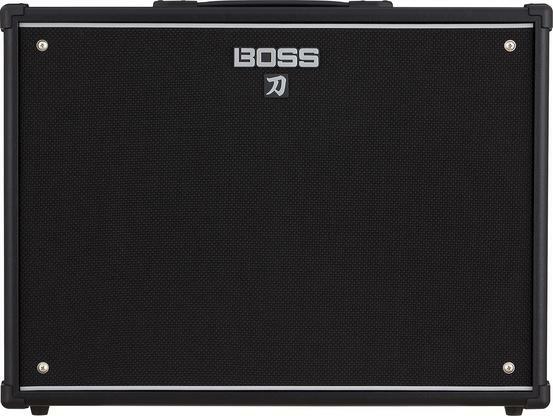 BOSS’s special design provides enhanced bass response and rugged durability while keeping the weight down for easy mobility. The cabinet comes loaded with two custom 12-inch speakers that deliver powerful, punchy sound with rich, full bottom end, offering exceptional performance for tones from super-clean to ultra-heavy. And with the detachable back panel section, you can easily go from a tight and focused closed-back stack tone to the spacious open-back sound of a classic combo.